on April 2, 2019, 2:08 p.m.
March is the time to close a fiscal year and prepare for the next one. Beginning of March, some of the leading banks and financial services brands released their ad campaigns and digital films. YouGov BrandIndex, the daily brand health tracker, analyzed the Ad Awareness (whether one has seen an advertisement for a brand in the past two weeks) for the various financial brands that it tracks to show the most improved brands in terms of awareness created through their advertising campaigns. 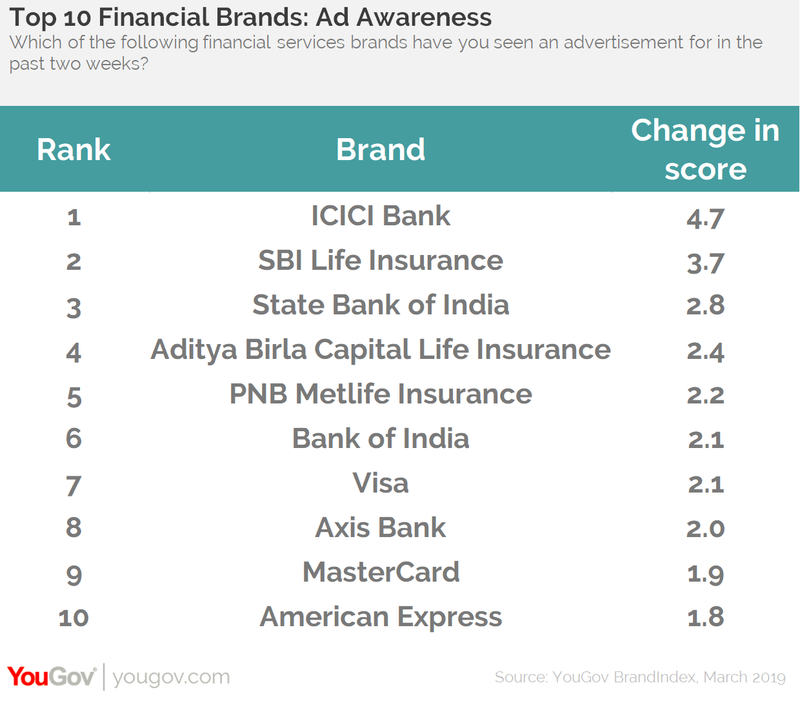 The data shows that among all the financial brands tracked, ICICI Bank has registered the greatest upliftment in its Ad Awareness over the last four weeks, changing its score by +4.7 points, from 25.5 in February to 29.9 in March 2019. SBI Life Insurance comes in as the second-best improver with a change in score of +3.7. ICICI Bank launched a series of digital films as part of the FD Extra campaign which have garnered over 1.5 million views on YouTube. The ads seem to have caught the eye of the audiences and helped push its awareness among the masses. 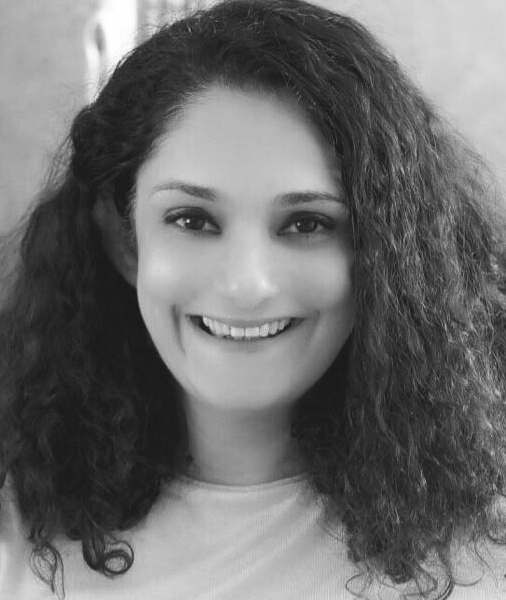 On the other hand, SBI Life Insurance launched a 360-degree campaign titled #MaiSeHum last year and introduced few films early this year, as an extension of the same. Apart from this, SBI also released a digital advert called #ThanksADot on the occasion of Women’s Day to create awareness among women about self-breast examination and yet another one on home loans. It seems like the smart and timely advertising by these two brands has paid off big time and the two brands have registered a significant improvement in their ad awareness scores since last month. 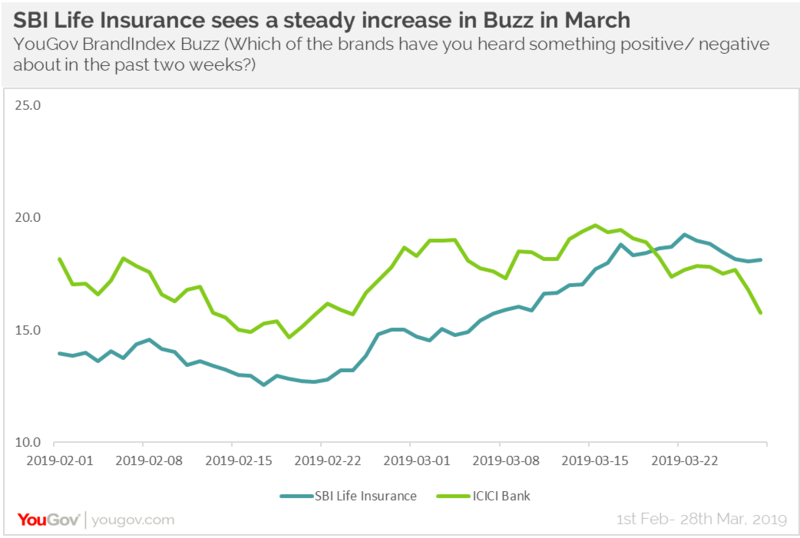 Even the Buzz (whether one has heard something about the brand in the past two weeks) for SBI Life Insurance has gone up in the month of March, suggesting that not only are people noticing ads from the brand but are also having conversations about it. On the other hand, although awareness for ICICI bank has gone up by a great degree, the Buzz has seen a slight rise in mid-March. Now that the brands know that their advertising efforts have paid off, they need to take the right steps to translate this awareness into sales.